This is part II of a discussion of adult Christian education, particularly the problem of low attendance. It originates in response to this post from Jan Edmiston at A Church for Starving Artists, and begins with Part I: Is Christian Education a Cultural Thing? People like the idea of adult education but they don’t necessarily want to participate. 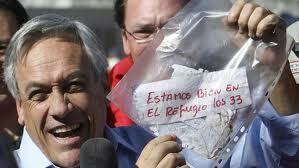 They believe the church should offer such spiritual enrichment but they don’t want to attend themselves. 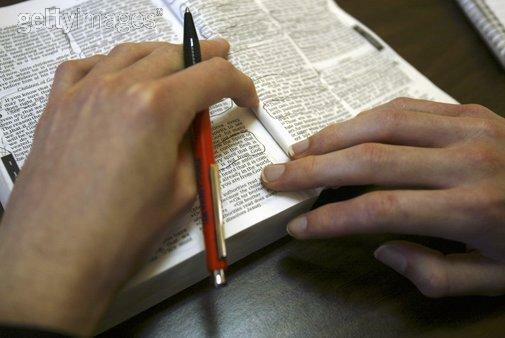 Any church worth its salt offers Bible studies and book discussion groups. But they’re for someone else. They simply don’t want to attend because the classes sound boring/are led by someone who annoys them. No supporting culture of education, as I explained in my previous post. Here is the problem: no matter what the reason people don’t attend, we clergy generally think that they should. Most churchgoers think they should too. And we all generally agree that churches should offer Bible study and clergy should be involved in teaching. When no one comes, we all feel guilty and discouraged that we are not doing what we should. In general, we are right: Christians should study the Bible, and we should all be learning more about the scriptures throughout our lives. We Protestants, whether we trace our roots to Luther, Calvin, Wesley or another reformer, share a commitment to meeting God directly through the scriptures. We are people of the Book. To borrow from Paulo Friere, we continue to practice a banking model of education when it comes to faith. Whether a lecture or a group-led bible study, Christian education seems to be designed to help people acquire and store more information about Christianity and the Bible, its contents and history (or theology, or church history, or denominational identity, or spiritual practices, or anything). Even if the class itself helps people engage a spiritual practice of connecting with God, there is still an emphasis on providing them information or tools to store in their memory banks and draw out for later use in prayer, decision-making or evangelism. Instead of Christian education, I propose the church needs to engage in holistic faith formation. Our task as clergy (and as the church) is to teach, but we are not simply responsible for teaching people about the Bible. We are supposed to be nurturing disciples in the Christian life, which includes prayer, service, study, leadership, worship, generosity and much more. That kind of formation is not ideally suited to the classroom setting, yet too often churches rely on Christian education to accomplish formation. When no one comes to classes, we get (understandably) anxious that they are not growing in their faith or increasing their discipleship. We want people to come to classes for formation, then go forth to practice service, leadership, prayer and generosity after they have been educated in them. When people do not participate in Christian education classes, for any or all of the reasons above, we still send them out as leaders, evangelists and servants, but rely on their secular training in the work world and try to steer them toward biblical principles as best we can. I believe that the time has come to engage in a practice of ministry and faith formation that attends to the whole life of discipleship, and sees every aspect of our church life as a time of faith formation—which includes biblical teaching, reflection and discipleship coaching. The educational model is inadequate for the task, especially when people do not come for so many reasons. I’ll share some ideas about what holistic faith formation might look like in Part III, coming soon. Last week, Jan Edmiston, over on her wonderful blog A Church for Starving Artists, wrote about the challenge of low attendance at worship and other church events. She discussed adult Christian education as one of the chief places where church’s struggle with low attendance, and speculates about why. I have been thinking a lot about this issue myself, and appreciate her post prompting me to think some more. I have a lot to say, so I’m going to divide it into a few shorter posts. Part I: Is Adult Christian Education a Cultural Thing? I struggle mightily with what to do about adult Christian education in my current setting. In my last church, as an associate pastor I taught a Sunday morning Bible study that grew from 10-15 participants to 25-30 participants every week. I started a reading group that tackled Borg, Bonhoeffer, Brueggemann, Pagels and more, and attracted 10-20 people every week. 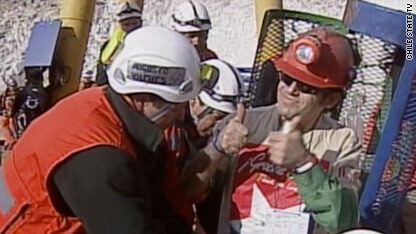 I created short-term workshops and evening programs that were popular and well attended. There was a culture of Christian education there, and people craved opportunities to read, study, reflect and discuss. The church worshiped with an average of 300 people every Sunday. When I arrived in my current position, I tried similar strategies. The church itself is smaller, worshiping with only 80 on Sundays, but our general level of participation in activities is high. Sunday morning classes started out with 5-6 people, and dwindled to 2-3 within a month. Evening programs, workshops and short-term studies suffered the same fate. Those who attended gave high praise for the class, but other interests always pulled them away. I decided that it was not a good use of my time to prepare and teach for less than 5 people week in and week out, especially after those who were attending felt disappointed that our numbers were so small. It was often just me and one other couple. Having spent a lot of time considering why it worked so well in growing one church and not in another, I believe it is as simple as a cultural difference. My first church was downtown in a large, northeastern city where education was everything. The members of the church placed a high value on education as an intrinsic good. They were avid readers and took classes in all sorts of topics, including faith. My current church is in a small town on the line between the south and the midwest. The members of the church are hard-working doers. While they value education, they see it as a means for future advancement, rather than a good in itself. While people read the newspaper or an occasional novel, they prefer to spend their free time with family rather than taking classes in something. I think this dichotomy is not unique to me and my particular churches. I know many churches that have grown by offering in-depth Christian education programming for adults, and many other churches that are quite vital and thriving, but cannot get adult Bible study programs off the ground. I suspect that these wider cultural influences may be a factor. These cultural differences do not necessarily reflect people’s educational background, wealth, class or race. Rural congregations with few college educated members often have thriving Sunday school programs, and suburban churches full of professionals may have none. It’s about the cultural and community support for education. If the people in our communities are not invested in learning for the sake of learning, it is a special challenge to engage them in learning for the sake of faith. In people’s busy lives, our Christian education programs are competing with many other interests. If the environment does not encourage time spent in study at all, how much more challenging is it to value and prioritize Christian study? 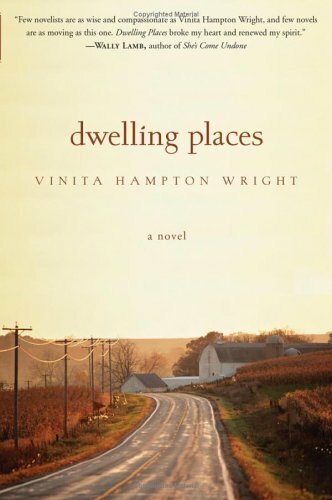 Dwelling Places, by Vinita Hampton Wright, 2006, Harper Collins, 339 pp. What a beautiful novel this is! As I combed the library shelves looking for something captivating but not tragic, interesting but entertaining, I pulled Dwelling Places because of the title. The story summary on the inside flap looked good, and the recommendation from Wally Lamb on the cover sold me. Quite by accident (or Spirit’s leading? ), I discovered what is sure to be one of my favorite novels of the year. Dwelling Places is the story of one Iowa family’s journey through heartache, loss and change. Mack’s family has farmed the same land for generations, but they lose the farm. In the same period of time, he loses his father and his brother under separate tragic circumstances. 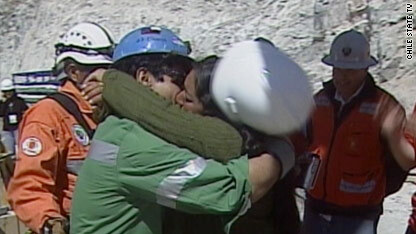 The family is forced to cope with their grief over these deaths, but also the loss of their way of life on the farm. The novel begins when Mack returns home from two weeks at a mental hospital after showing warning signs of suicide. The family struggles to welcome him home, gently handle his brokenness and continue to grapple with their own grief. The novel follows four of the characters individually as they find their own way of dealing (or not dealing) with change and the accompanying grief—Mack, who dives deeper into his grief on the path to healing; Jodie, his wife, who begins to live two lives; Kenzie, his daughter, who turns to religion; and Rita, his mother, who survives on good works serving others. Mack and Jodie’s son, Young Taylor, also figures prominently, but we do not see through his eyes directly. The novel takes the family and each individual member of it to the brink of disaster as their broken seeking spirals out of control. But in the end, they are redeemed and reunited—slowly, imperfectly, forged together again as a family. Faith and relationships with the church are at the heart of this story in many ways. Kenzie’s story is a common tale of adolescent collapse into cultish certainty, and her entire narrative is a faith journey. But faith is critical in the stories of the other characters as well. Each one must attempt to make peace with God about what has happened. Some find their way back to faith, some find faith as the way back to life, and some never return at all. They also relate to various churches in the story, and in the end a particular church service becomes a critical turning point. As one in ministry (and the kind of ministry or church that would do that kind of service), it is rare and gratifying to see stories like mine in print. Wright’s writing is beautiful, the characters are real and endearing, the story is powerful and rings true. I am so grateful to have found this novel, and look forward to reading more from her. 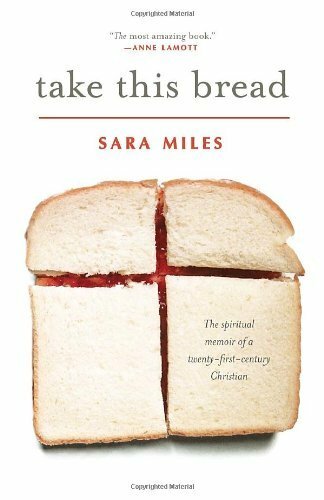 Take This Bread: A Spiritual Memoir of a Twenty-First Century Christian by Sara Miles, 2007, Ballantine Books, 294 pp. This book was so rich and full it is hard to describe. The pink pen I was using to make notes and stars and underlines seemed to bleed across every page. Sara Miles is a beautiful writer with a powerful story and a profound witness of faith to share. Take this Bread is a spiritual memoir centered around the experience of feeding and being fed and developing a theology of the Body of Christ. Miles’ story begins with an atheist childhood and early adulthood spent as a reporter covering left-wing radical revolutionaries, who shared whatever scant food they had with her. The turning point comes one day when she stumbles into St. Gregory’s Episcopal Church in San Francisco. She receives her first communion there, unprepared and uneducated, and finds her life transformed by the sacramental experience. She experiences a mystical encounter with Christ’s body in the bread and in her connection with the bodies of those around her. With joy and trepidation, she launches on a quest to understand this experience and share it with others. This pursuit leads her to found a food pantry at St. Gregory’s, and then more pantries across the city. Take this Bread is her interpretation of those experiences as a journey of hunger and its satisfaction, and the deep connection between the hunger of the body for food, the hunger of the soul for God and the hunger of the creature for community. Miles makes a passionate argument, grounded in mystical experience and biblical theology, that our mortal bodies matter, that the Body of Christ is all about our bodies connecting with other bodies we might not choose to know or love, and that God blesses all of it when the hungry are fed. The first time I was in Summersville, West Virginia was at least 15 years ago. I went to college in the Shenandoah Valley of Virginia, and my friend K and I spent our free time driving around the back roads of West Virginia in search of beautiful vistas, quirky towns and unique experiences. We journeyed to Summersville one Sunday afternoon on our way to the famous New River Gorge bridge, taking a winding two-lane trail through nameless unincorporated communities. We were hungry, and had no cash. Cash was important, because the local restaurants along the road would not accept a credit card back then. Looking on the map, Summersville appeared to be a sizable town, and we believed there would be a 24-hour ATM there so we could get money for something to eat. Our hungry bellies sighed at another 40 mile journey to Beckley, but we also reveled in the thought that there were still places, in the early 1990s, that did not know what an ATM was. It was exactly the kind of experience we sought in our travels, and I still remember it today. I have returned to Summersville again this week. A friend and I have rented a cabin for reading, writing and quiet time with God. I was eager to revisit Summersville. The website for the cabin told me that they now had several fast food restaurants and a Super Wal-Mart, so I expected a changed place—at least now they would have an ATM, to be sure. Summersville, WV along US-19. This is only one section on one side of the road--there is much more fast food and Wal-Mart just ahead. I couldn’t believe what I found when we got here. Not only is there a Super Wal-Mart, the leader of cheap consumerism and cultural decline in small-town America, but there are strip malls at every turn. 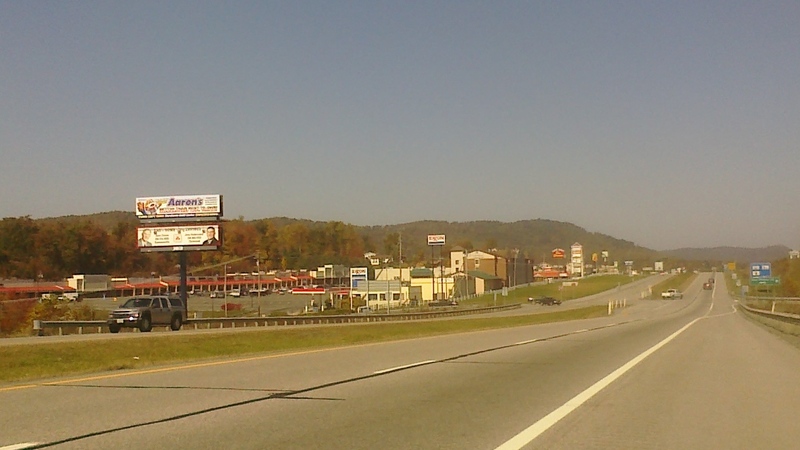 Along US-19, where there used to be rolling Appalachians speckeld with color this time of year, there are billboards and signs for every national chain store, hotel chain and fast-food restaurant you can imagine. We sought a local restaurant in downtown Summersville, and could find none. While I am sure the people of Summersville and the surrounding hillsides are grateful to eat at Applebee’s, get lumber at Lowe’s, wander the aisles of the Dollar Tree and stock up at Super Wal-Mart without driving all the way to Beckley, I mourn the passing of another unique small town. Bill Bryson’s book A Lost Continent, which I just completed and did not generally like (see review), describes his search for the perfect small town, which he dubs “Amalgam.” He describes its picturesque streets and quaint personalities, and delights in the fact that it could be located in any state in the union. He never finds that small town. 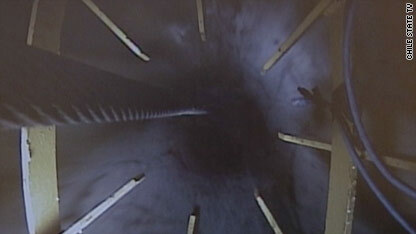 What I fear we have instead is thousands of Amalgams, only they are not the pleasantly perfect models Bryson imagines. In today’s world of mass consumption and large retail and restaurant chains, every town is Amalgam. Every town has the same restaurants, the same stores, the same products. Everything looks the same, tastes the same, feels the same. Something is lost when Summersville, WV looks just like Summersville, KY and Somersville, OH and Somersville, CT and Somersville, CA. I’m not sure why anyone bothers to leave their own town anymore, just to find the same thing in some other place.